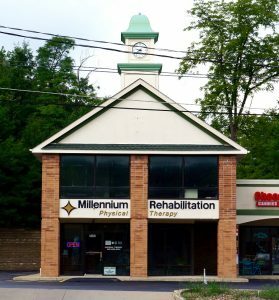 Millennium Rehabilitation is a unique physical therapy center where patients recover their movement, strength and freedom through individualized attention and personalized physical therapy care. Millennium Rehabilitation helps people young and old who want to get back to living, whether on the playing field or performing daily tasks. We believe the best strides in recovery are made when our physical therapy and sports medicine professionals work with you to help you accomplish your goals and give you back the freedom to move… and live your life the way you want to. You have your doctor, dentist, vet, mechanic in your phone contacts. You get a medical/dental check up or two each year, not necessarily because you are sick or hurting, but just to make sure nothing is amiss. Of course, when you are ailing, they’re your go-to providers. It’s the same for your pets or your car. It’s time to add another go-to provider: physical therapist. Gravity, movement and time contribute to wear and tear on the body. Just as misaligned tires wear out faster, a misaligned body does too. You can buy new tires. You can’t buy a new body. Let it get too “rusty” and you may not be able to fully restore it. If you should get injured, we’ll already be familiar with you and your body to help get you back up and running again. It’s not too late to start. Give us a call.